New in paperback with a glittering cover! A little girl engages in a favorite childhood activity–catching fireflies–then lets them go one by one. This serves to engage the reader in counting up and then down from 10. 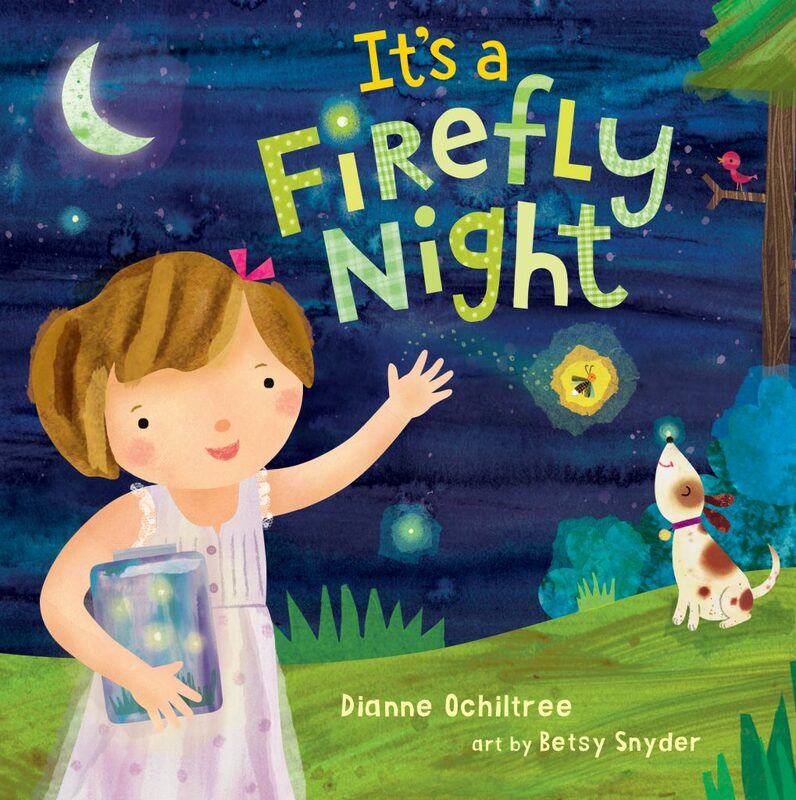 Song-like rhyme pairs with glowing art to capture the magic of a firefly-lit summer night. Featuring a plethora of interesting firefly facts and new activities. 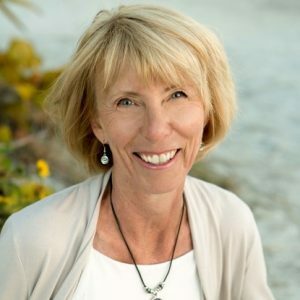 For more about the book, read "Dianne Ochiltree's Firefly Nights." Download the Story Hour Kit. On a summer’s night, a child sails out into her yard to gather (and then release) lightning bugs. Just like the stars that seem to wink and glimmer in Snyder’s moonlit, mist-streaked night skies, fireflies glow in the grass amid scattered trees and flowers. They smile in close-up views as the child, barefoot and nightgown-clad, gently gathers them into a big jar while her father looks on. Reflecting that “I love catching fireflies, / but they are not mine,” she cups each captive in her hand before “easy and slow, / I whisper good-bye, / then I let it go!” A spread of firefly facts caps the idyllic nighttime foray. Rough sparkly patches on the jacket add a tactile element that compensates, at least in part, for inner flaps that cover parts of the endpaper nightscapes. The bugs and brushwork resemble Eric Carle’s, but Snyder’s art works its own magic. An intimate encounter with nature lit not just by stars and fireflies, but also an affecting dose of daddy-daughter warmth. 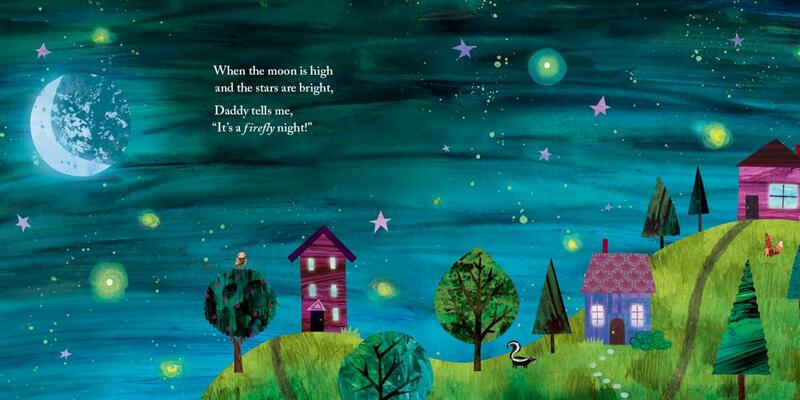 "When the moon is high/ and the stars are bright,/ Daddy tells me,/ 'It's a firefly night,' " explains a girl in a pink nightgown, as she races through her yard trying to collect glimmering lightning bugs. Snyder's illustrations pull some serious weight to create a feeling of nighttime magic: the lawn glows with an almost supernatural lime green, which is echoed in the gleam of the fireflies and the stars in a night sky painted in rough strokes of blue and violet. The overall effect of Snyder's art is that of cut-paper collage, and she includes friendly details throughout, from the small smiles that the fireflies wear to the reassuring presence of the girl's father, clad in his bedroom slippers. Ochiltree's rhymes are sturdy, and she makes it clear that, while catching fireflies is fun, the beetles are not meant to be kept ("Uncurling my hand,/ easy and slow,/ I whisper good-bye,/ then I let it go!"). Assorted firefly facts close out this cozy evocation of a special dad-and-daughter night.